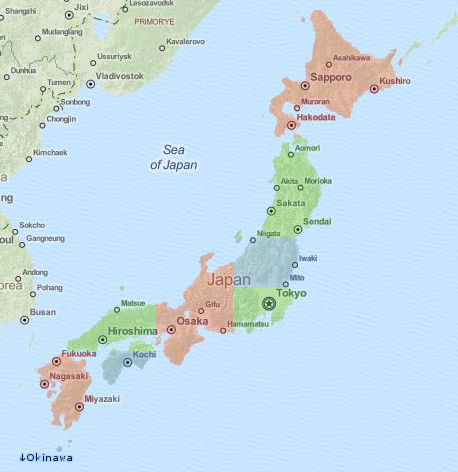 This site provides maps of Japan for international tourists. These maps are very detailed (containing most small streets in- and outside of towns, as well as information about bus stops, stores and hotels), have place names in English (or at least in Latin characters), and are fully searchable. They can be used offline: after you have downloaded the maps, no internet connection is required. The maps are based on OpenStreetMap data published on March 7th, 2019 and can be used with the OsmAnd app on most Android-based devices. The map is divided into nine regions. To download a map, just click on the region(s) that you're interested in. OpenStreetMap data is distributed under the Open Data Commons Open Database license. 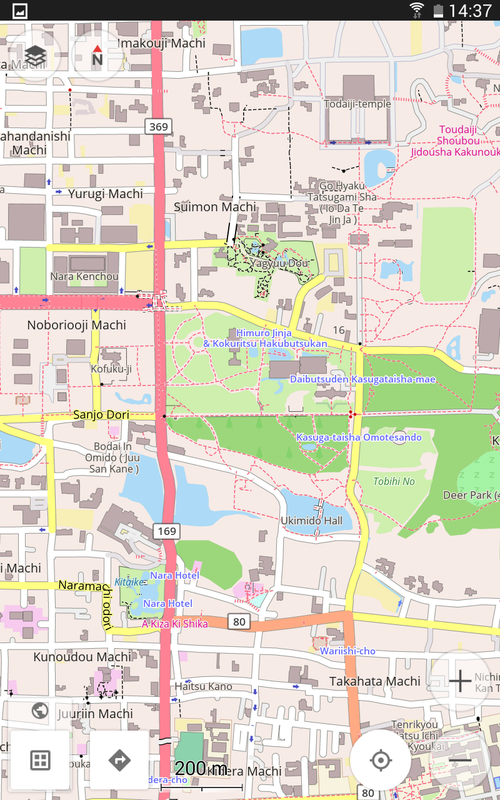 For details see OpenStreetMap Copyright. Install the OsmAnd app on your Android device. The free version will work just fine, but of course the plus version works as well. If necessary, uninstall any standard OsmAnd maps of the region, because they will conflict with the tourist map. Copy the map file to the Android device. If you have downloaded the map file from this site, be sure to unzip it first. For example, use a network-capable file manager, such as Ghost Commander with the SMB plugin. Afterwards, you have to change the description language (Configure map → Description language) to English to see the place names in English. Also, as the base world map has not been created using JapanMapTranslate, you will need to zoom in a bit so that your local map is actually used. 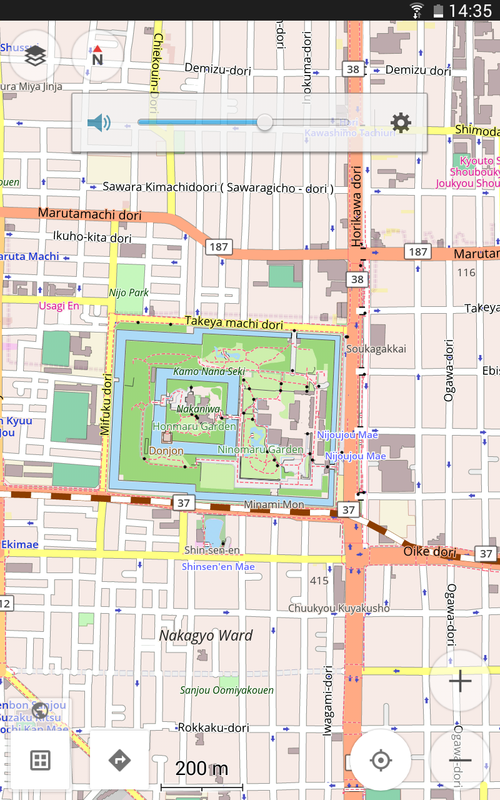 These maps have been created with my program JapanMapTranslate.